“I had an amazing weekend and would do it again next weekend without a seconds hesitation. Your support crew were also very good and very patient and helpful – especially Sean as he had plenty to deal with on ScaFell Pike in atrocious conditions as I am sure he will agree”. We also had an open abseil on at the Mersey Ventialtion shaft which proved to be popular despite the grim weather! This past weekend we had a further two abseils – one from the Coventry Brittania Hotel on behalf of Alzheimers and another open event from The Marquess of Anglesey’s Column in North Wales. Both events enjoyed fantastic weather. 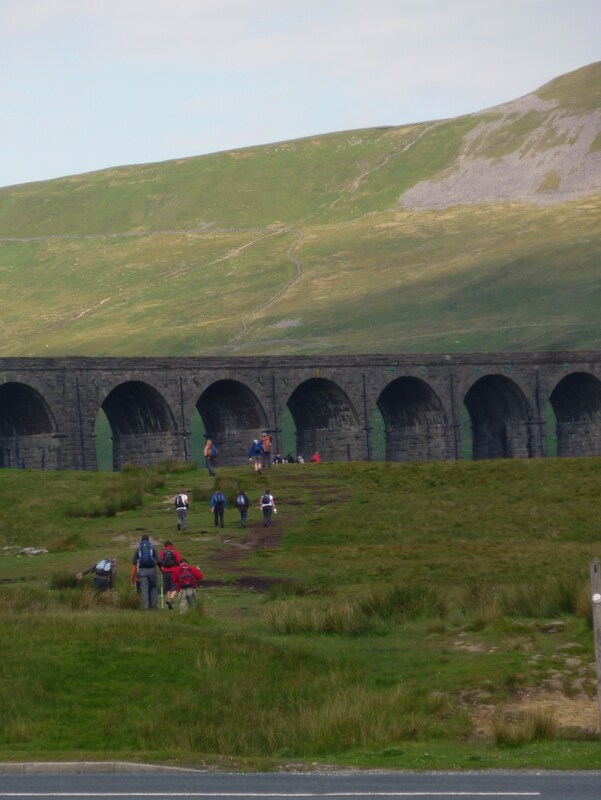 Eight Point Two had another weekend in Horton with our own Yorkshire Three Peaks Challenge Walk open event. We had teams from all over the country (as far away as Guildford) raising money for a number of different charities. It was an excellent day for the Three Peaks with plenty of sunshine, however it was still relatively cool. It was a great day and we had some impressive times logged – the fastest being 6 hours and 20 minutes. However, even more impressively – everyone who made it was back within 11 1/2 hours. Well done everyone! Here is a picture of Ribblehead Viaduct from the road junction after Pen Y Ghent. Another busy weekend has just gone with our open abseil from Leeds Met University and a Yorkshire 3 Peaks Challenge on behalf of Saint Michaels Hospice. The other event was the Yorkshire 3 Peaks walk for Saint Michaels – www.saintmichaelshospice.org/ . It was a difficult day for the walkers with strong winds, cold temperatures and heavy rain in the morning. Luckily the weather brightened up in the afternoon and 18 of the 20 walkers managed to make it back in to Horton with times ranging from between 10 and 12 hours. Great effort everyone!